Walcot Guest House Guest HouseSituated on the edge of The New Forest. Denise & Rob welcome you to Walcot House. The warm hospitality and relaxed atmosphere, the comfort and high standards of our accomodation and the tempting choice of our breakfast menu will make your stay a memorable one. Our small but perfectly formed garden is there for you to enjoy. Walcot House is an excellent base to explore from. Beaulieu 4 miles, Exbury 3 miles. Local beaches and heathland walks close by. Calshot Activity Centre & Sailing, Southampton Boat Show via Hythe Ferry. 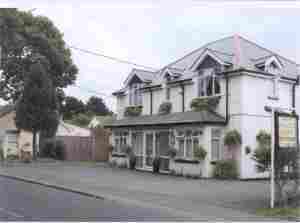 Delightful, family run guest house situated on the edge of the New Forest, minutes away from open heathland. Hearty breakfast. Riding and golf nearby. Exbury and Beaulieu 3 miles, Calshot 2 miles. Close to beaches. Gangwarily Sports Centre 1/4 mile. Calshot Acivity Centre 2 miles. Children welcome from any age. From Lyndhurst - turn right at Boltons Bench and continue for about 5 miles until you reach Beaulieu. Turn left signposted Beaulieu and pass through village. Continue until you reach the brow of the hill and turn right signposted Holbury. Continue for about 2 miles until you reach a set of traffic lights. Go straight over, pass Gangwarily Recreation. At the bottom of the hill turn left, continue for 1/4 mile and Walcot House is situated on the right hand side before reaching the junction. From Southampton/M27 - A36 then A326. continue for signs to Fawley. On reaching roundabout Fawley/Calshot Castel, bear left. Continue for 1 mile. On reaching next junction turn right (Blackfield Road) Walcot House is situated left hand side short way off junction. Public transport: 36 or X9 from Southampton or Hythe. Bus stops 3 houses down from Walcot House, Blackfield Road, Fawley. Thank you for your comments, hope to see you again.